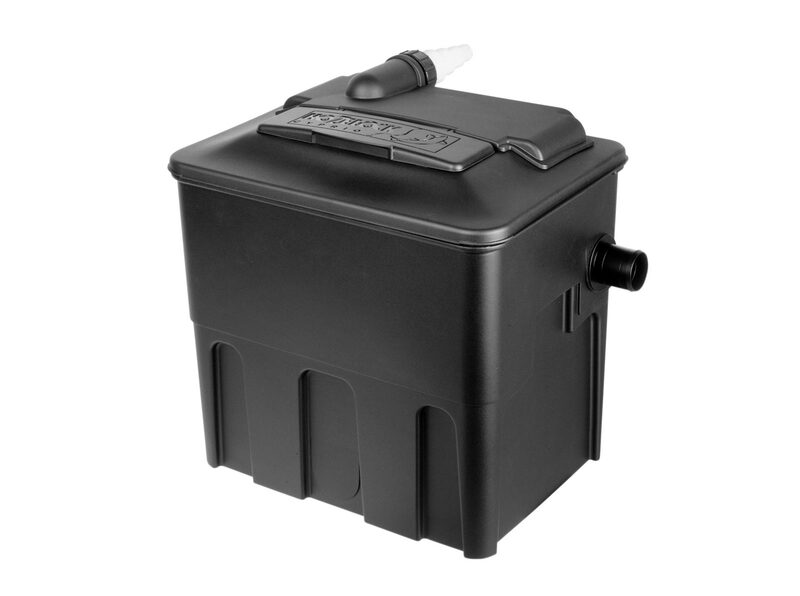 The Ecocel is an above ground filter that combines mechanical and biological filtration. Ecocel is an above ground filter combining both mechanical and biological filtration to keep ponds clear and healthy. The unit is suited for use above ground, in-ground or concealed at the top of a waterfall. Water enters the unit via a spray head (1), which is evenly distributed over a foam sheet (2). Solid particles in the water are trapped in a foam sheet (3). Almost solids free, the water passes through plastic biomedia (4) where beneficial bacteria cleanse pollutants. The amount of biomedia contained in the filter increases in direct proportion to the size of the pond/filter to support a greater number of fish. Purified water then passes up an outlet tube (5) and back into the pond. Use the viewing hatch to observe the internal operation of the filter, which helps to show if any maintenance is required. 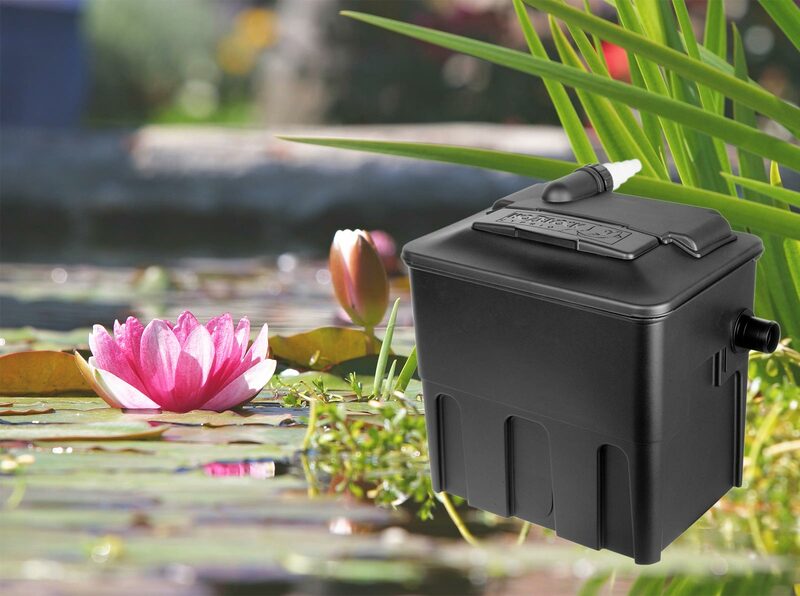 Hozelock Cyprio Ecocel garden pond filters remove unwanted solids from the water and convert dissolved organic and chemical fish waste into harmless compounds. Teamed with an appropriate pond pump and UVC unit, Ecocel will improve water clarity. Ecocel filters are pump-fed external filters, ideal for being partially buried adjacent to your pond or being positioned above ground if desired. The filter may also be concealed at the top of a waterfall. Please Note: This product is NOT SUBMERSIBLE, and should be sited where it cannot fall into the water or become waterlogged. However, the design is weatherproof, and Ecocel filters can be safely installed outdoors.